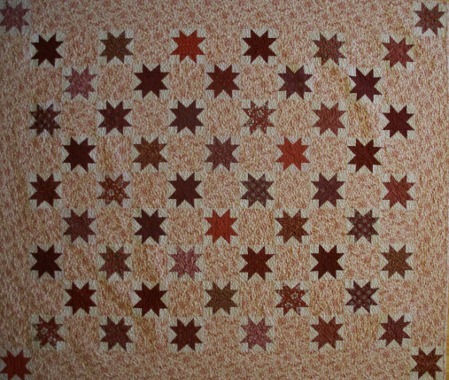 Description: A quilt with a collection of stars in many different prints. This quilt has a beautiful background fabric. This quilt is named for my Mother-In-Law who loves the color red.